Croatia is a relatively small country bordering the Adriatic Sea in Central Europe, home to breathtaking scenery, amazing beaches, sunny summers, deep cultural roots, interesting historical buildings and fresh seafood. 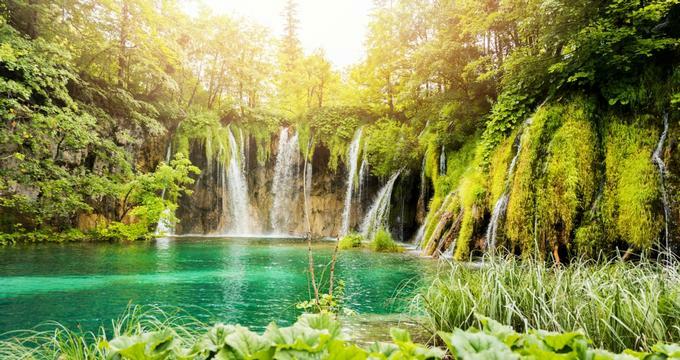 Nature lovers and outdoorsmen come to Croatia to enjoy the many beautiful beaches, stunning waterfalls, caves, mountains, and lakes. You absolutely must include a visit to the Plitvice Lakes National Park, thought by many to be the most beautiful national park in the world. 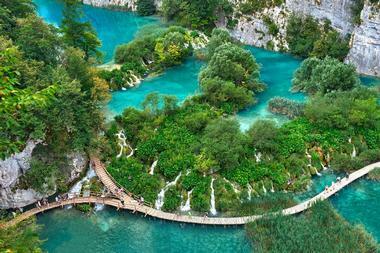 Plitvice Lakes National Park is a 295-square-kilometer forest reserve and national park in the middle of the country. The park is best known for a chain of 16 lakes that are seemingly stacked on terraces and joined by waterfalls. The lakes are tucked into a limestone canyon, with walkways and hiking trails offering stunning views. The twelve upper lakes and four lower ones are connected by an electric boat. There are numerous waterfalls, caves, and other interesting features to visit. The park has several restaurants, cafes, and shops to make your visit more comfortable. 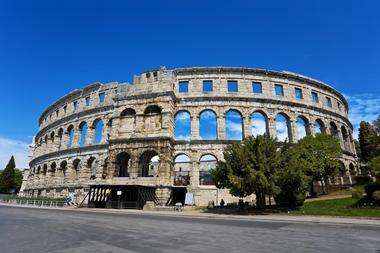 The Pula Arena is a Roman amphitheater located in the town of Pula. The amphitheater is notable because of its high degree of preservation. It is the only remaining Roman amphitheater to still have its four side towers and all three of the Roman architectural orders. It is also one of the top six largest Roman arenas still in existence. In ancient times, the arena hosted gladiator fights, hunting spectacles, and other events. 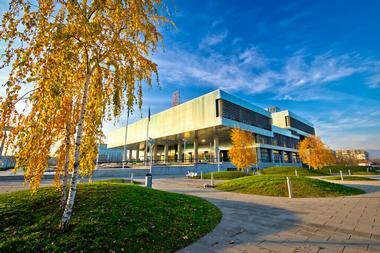 In recent years, the arena has been used as a concert venue, has appeared in films, and has even hosted ice hockey games. It is a very popular attraction for tourists, travel writers, and photographers. The Diocletian's Palace is an ancient palace that was built for Roman Emperor Diocletian around the turn of the 4th century. Even though it is named a palace, in size it is closer to a fortress and it comprises approximately half of the old town of Split. Part of the building was used for Diocletian's residence and personal use and the other part was home to a military garrison. Today the palace is the single most complete Roman palace and the most significant architectural feature on all of Croatia's coast. The palace has modern amenities for tourists, such as a snack bar, restaurant, and souvenir shop. One of the best ways to enjoy Dubrovnik is from above. The best views are undoubtedly from the top of the Srd Hill. In 1969, the Dubrovnik Cable Car was built to offer visitors and residents an opportunity to enjoy the views from the top of the hill. 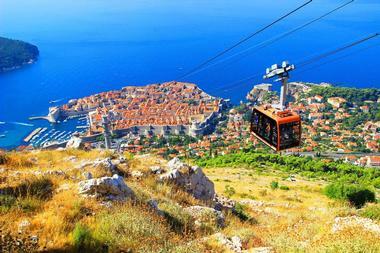 The cable car travels 778 meters up to a plateau overlooking the old city and the Adriatic Sea. In clear weather, you can see approximately 37 miles. The ride takes about 4 minutes and once at the top you can partake in a snack or meal at the restaurant, take an adventurous buggy safari tour, or shop for souvenirs, pearls, and even coins from a blacksmithing shop. The Ivan MestroviC Gallery is an art museum dedicated to the artwork of Croatian artist and sculptor Ivan MestroviC. The collection consists of the artist's significant works, including sculpture, drawings, furniture, design, and even architecture. The gallery and surrounding grounds were based on plans that the artist himself drew. The plans included residential and working areas as well as a gallery that was meant to house exhibitions. The museum's permanent exhibit encompasses two floors of the gallery. The art is arranged by subject matter, not along a chronological timeline. There is also an outdoor park with many sculptures on display. Kastav is a historical town located on a hill near Rijeka. The town is popular among tourists for its historic downtown, many outdoor parks, and large forested area, where hiking is a popular activity. The historic walled town contains a large number of historic buildings, including a 13th-century church. The high season for tourists is in summer, when outdoorsmen, hikers, and athletes come out to walk the forest trails. In the wintertime, Kastav is one of the first places to receive snow. There are several annual international events in the city, such as the Kastav Summer of Culture, White Sunday, and the Carnival Parade, all of which are an outstanding way to get a taste of Croatian culture. Korzo is the main promenade in Rijeka. It is a picturesque thoroughfare lined with coffee shops, cafe bars, benches, and more. The street is a meeting place for locals and tourists and is perfect for people-watching any time of the year. 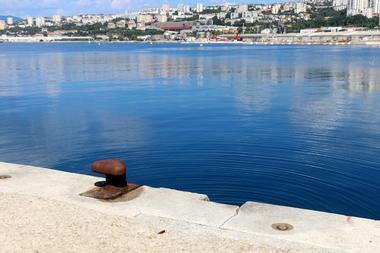 It is truly the best place to really get the pulse of Rijeka. There are beautiful fountains and a centuries-old clocktower. There are quite a few souvenir shops offering plenty of interesting items to help you remember your trip. Dining options abound and include a wide variety of cuisines. Traffic is banned on Korzo but that's okay as it's best explored by foot anyway. Krka National Park is a Croatian national park named after the river of the same name. The park was formed to protect the area around the Krka River and encompasses 109 square kilometers. The park features mostly untouched wilderness and has an especially high concentration of flora and fauna. Tourists come to hike the various footpaths, participate in tours and boat trips, shop at the souvenir shops, and visit the museum and restaurants. You can also see the archeological remains of several of the area's fortresses. However, one of the most attractive parts of the park is Skradinski buk, a massive pool with high waterfalls on one end and cascades at the other. Lokrum is an island in the Adriatic Sea located less than a kilometer off the coast of the city of Dubrovnik. The island can be reached by a 15-minute ferry service, which travels several times a day from Dubrovnik. 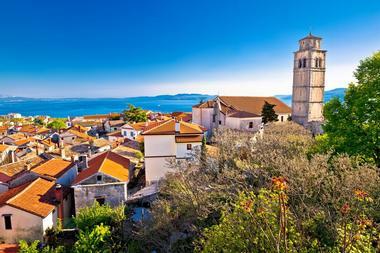 The attractions include an inland saltwater lake, one of Croatia's many nudist beaches, and a Benedictine monastery. One of the most interesting things about Lokrum is that its only permanent residents are peacocks. The birds wander the island freely and may join you while relaxing on the many beautiful and peaceful beaches. The island has no cars and people are not allowed to spend the night, so it's easy to find a solitary stretch of shoreline to relax in peace. 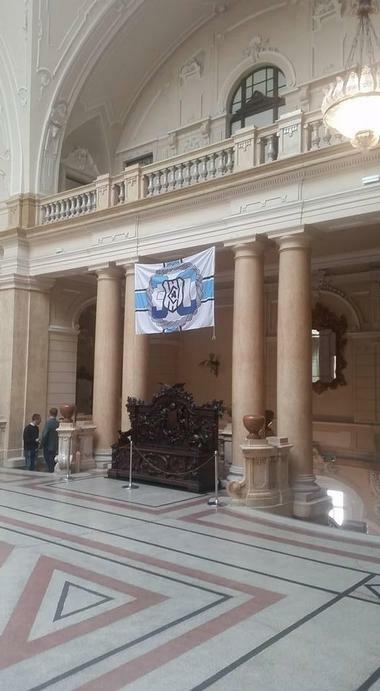 The Mimara Museum is an art museum located in a beautiful 19th-century building on Zagreb's Roosevelt Square. The museum's collections were gathered by a local philanthropist, Ante Topic Mimara, who donated the items to the museum. The fact that it is rarely busy and there is plenty of room around each exhibit makes the visit quite enjoyable as you do not have to fight to see the art. 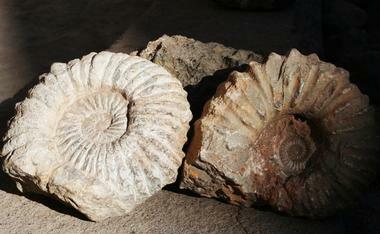 There are pieces of art and artifacts from prehistoric times up until the present. The collection may or may not contain fake reproductions of Old Masters. When you visit you will be impressed that one individual was able to collect so much art during their lifetime. Molo Longo is a restaurant located on the breakwater in Rijeka on the terminal building's second floor. The restaurant combines classy and elegant food with a somewhat relaxed environment, making for a comfortable and delicious meal. Although the food is delicious, the real highlight is the view. Each table has a sea view and the glass terrace offers al fresco dining with the sea on all sides. Yolo Longo specializes in fresh fish and seafood, however they have a large menu with a wide variety of options for all types of palates and diets. The restaurant seats 70 in the hall, glass terrace, VIP room, and balcony. 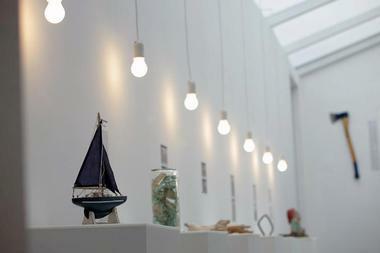 The Museum of Broken Relationships is an innovative museum in Zagreb that is dedicated to failed love relationships. The museum's collection contains a large number of items left over from former lovers around the world. Each item on display is accompanied by a brief description or story. The collection has toured the world, and many people visited and also donated items to the collection. There are three sections of the museum. The first is titled Material Remains Layout and contains objects and documents presented with the location and dates of the relationship. The second area is a virtual web museum that allows users from around the world to upload images and documents where they may be used by other viewers. The last section is called Confessional and is an intimate interactive area where visitors may record their confessions or store their messages and objects. The Museum of Contemporary Art is a contemporary art museum on Zagreb's Dubrovnik Avenue. The museum is the largest and most modern of its kind in Croatia. The museum has more than 12,000 objects with around 600 on permanent display. The main gallery is approximately 3,500 square meters in size. However, there is an additional 700 square meters of exhibition space on the museum's roof, which is used for special exhibitions. Many Croatian artists are featured, including Julie Knifer, Vjenceslav Ricter, Benko Horvat, Dalibor Martinis, and many others. A host of international contemporary artists have featured here as well. 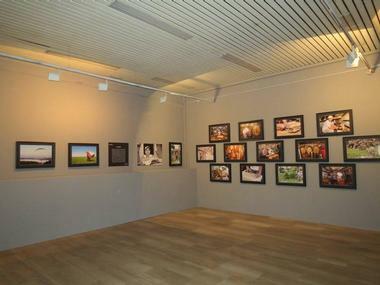 In addition to the galleries, the museum also has a library, media hall, cafe, restaurant, and bookstore. The Museum of Modern and Contemporary Art is an art museum in Rijeka that includes local, national, and international works of art presented in a beautiful state-of-the art building. 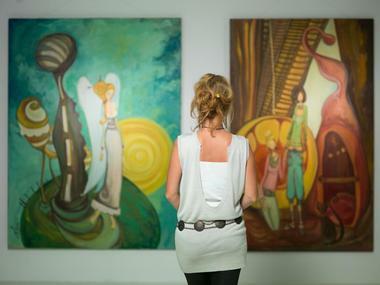 It is thought by many to be the best contemporary art museum in the country. The primary exhibitions found in the museum include a collection of sculptures mostly created by Croatians. There are collections by artists Romolo Venucci and BoZidar Rasica. There are also various other posters, paintings, prints, and photographs. There is an interesting exhibit of New Media and multimedia works, including early computer graphics by Vilko Ziljak. The Croatian Museum of Naive Art is a fine art museum located in Zagreb featuring the works of naive artists from the 20th century. Naive art is an eclectic form, which celebrates the untrained, informal, and simple and rejects sophisticated techniques. The art form is especially popular in Croatia and is often created by middle-class and working-class individuals from rural areas. This museum is the first of its kind in the world that focuses on naive art. The museum contains paintings, sculptures, prints, and drawings from mostly Croatian artists. While the collection is quite large, the museum's exhibition space is fairly small and only displays about 80 pieces of art at any given time. 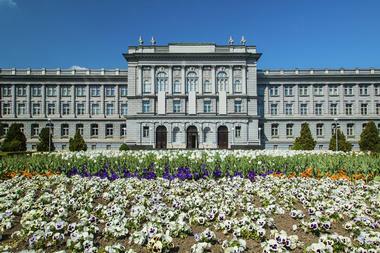 The Natural History Museum in Rijeka is a museum which collects and preserves items of natural science from the Primorsko-goranska county area. The museum features a permanent display that leads you through the region's natural heritage, research, and the preservation of nature in Rijeka and surrounding areas. The museum has 90,000 specimens, including some rare and unusual species. The exhibits include the Collection of Rocks, the Collection of Minerals, a paleontological collection, and an exhibit dedicated to the evolution of man. If you love marine life, you must visit the museum's aquarium, which celebrates the rich biodiversity of the region's rivers, lakes, and streams. The Old Gateway, or Roman Arch as it is called, provides evidence of the ancient town that used to stand where medieval Rijeka was built. The arch is the oldest monument in the city and was once the entrance to the city center of the late antique Roman Tarsatica. The arch is only partially intact today as pieces of it have fallen off or been blown up over time. 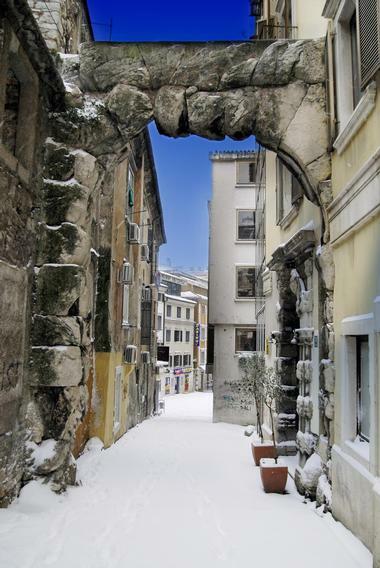 The arch spans a small street in Rijeka between two buildings. It is a popular attraction for visitors to the town and makes for interesting photographs. It can easily be missed amongst the modern buildings that surround it, so keep your eyes peeled. 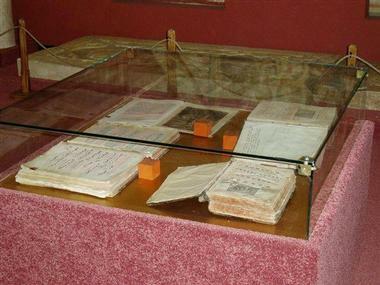 The Glagolitic Alphabet Exhibition is an exhibit in Rijeka's university library that is dedicated to the history of the Glagolitic alphabet. The alphabet is the oldest Slavic alphabet that we know of. The alphabet was created in the 9th century by two brothers, Cyril and Methodius. The script was not used much after the death of the brothers but it was preserved by the Croats, who used it up until the 20th century in church liturgy. The exhibition has 127 items, each of which tells part of the story about the importance of the alphabet in the history of Croatia and the rest of Europe. Croatian National Theatre is a theatre, ballet, and opera house in the city of Zagreb. The first city theater was built in 1836 in the Old City Hall building. It rose in prominence and was named the Croatian National Theatre in 1860. 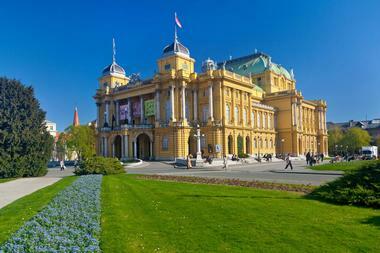 In 1895, it moved to the present building, which is situated on Zagreb's Marshal Tito Square. A beautiful wall fountain graces the entrance, which was designed by Croatian sculptor Ivan MestroviC. The stunning building hosts a variety of opera and theatre performances throughout the year, ranging from historical classics to more modern works and performers, including both leading Croatian and international artists. 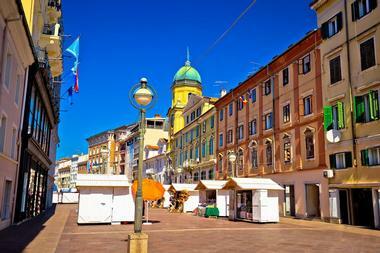 The Rijeka City Museum is a museum that focuses on the city of Rijeka and the region. The museum is located inside a purpose-built cube-shaped building in the Governor's Palace gardens. The exhibits include a variety of collections, such as an impressive music collection that features well-preserved historical musical instruments. There is also a visual arts collection that showcases works from the many artists who have lived in Rijeka and nearby. The museum also has a large collection of documentary materials, including documents, photographs, and other artifacts that tell the story of Rijeka's long and interesting history. 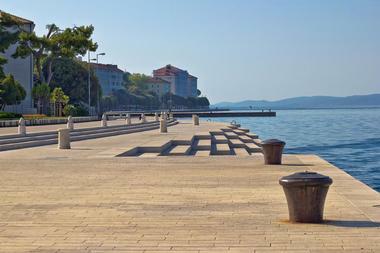 The Sea Organ is a one-of-a-kind experimental musical instrument in Zadar. The instrument consists of a series of tubes situated underneath large marble stairs. When the ocean waves come into shore, the tubes make a musical sound. The Sea Organ was created by Nikola BasiC, who was working on the project of revitalizing the city after the devastation it suffered in World War II, especially along the seafront. The Sea Organ is the only of its kind in the world and attracts many tourists and locals each year, who come to see the curious device and hear its interesting and sometimes eerie sound. 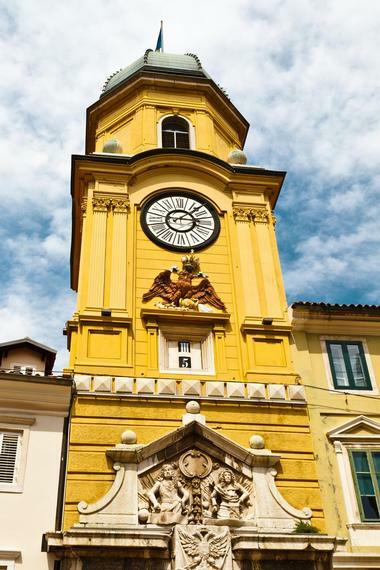 The Governor's Palace is a palace set on a hilltop overlooking the harbor in Rijeka. It was commissioned by Count Lajos Batthyany to display his imperial power. The count was a representative of the Hungarian governor who was sent to oversee Rijeka as the area was ruled by Hungary at that time. The building was completed in 1893. The palace is home to the Maritime and History Museum of the Croatian Littoral. 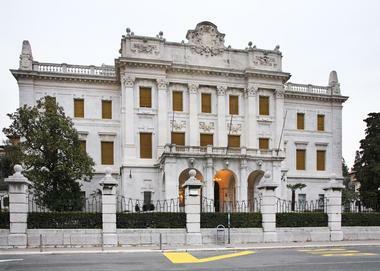 Therefore, interested visitors can actually enter the palace and see the impressive interior as well as admire the building from outside and enjoy the statue park on the grounds. Trsat Castle is a castle in the town by the same name in the area of Rijeka. The castle sits high on a hill, offering fantastic views of the Adriatic Sea and the Rjecina River Valley. 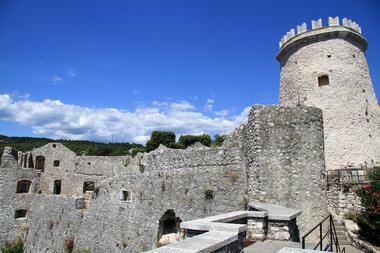 The castle is believed to have been built in the same spot as an ancient Illyrian and Roman fortification. The castle was reconstructed in the 19th century because the mausoleum of Laval Nugent, a military commander, was built on the inside of the fortress. Vuk Krsto Frankopan, a member of Croatian royalty, was also buried inside one of the castle's churches. Trsat Castle has a courtyard, which has been converted into a restaurant that is quite popular with tourists.